Peter Knoll was the heir to the Hans Knoll furniture fortune. After his father died when he was 13. Peter dropped out of Columbia University after a few semesters and allegedly never worked a day in his life. Knoll died earlier this year from hypothermia in his $10 million NY townhouse which was without heat since 2014. Described as complicated and eccentric, and suffering from diabetes and melanoma, Knoll left $50K to each of his 3 children who reside in Florida and $100K to each of his grandchildren. 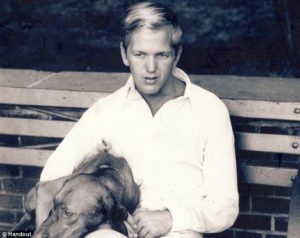 He also left various sums to other friends and acquaintances and the bulk of his estate to a boarding school he attended in Vermont in his teens. His son is contesting the will alleging that the boarding school unduly influenced him into leaving most of his estate to it. 1. Complicated and eccentric does not mean mentally incompetent. 2. Complicated and eccentric people do complicated and eccentric things such as ignoring their children in favor a boarding school they attended long ago. 3. We all know that NY is cold in the winter while Florida is warm, but if the children had visited their dad in the winter and realized he did not have gas in his house, he might have left them more than $50K.